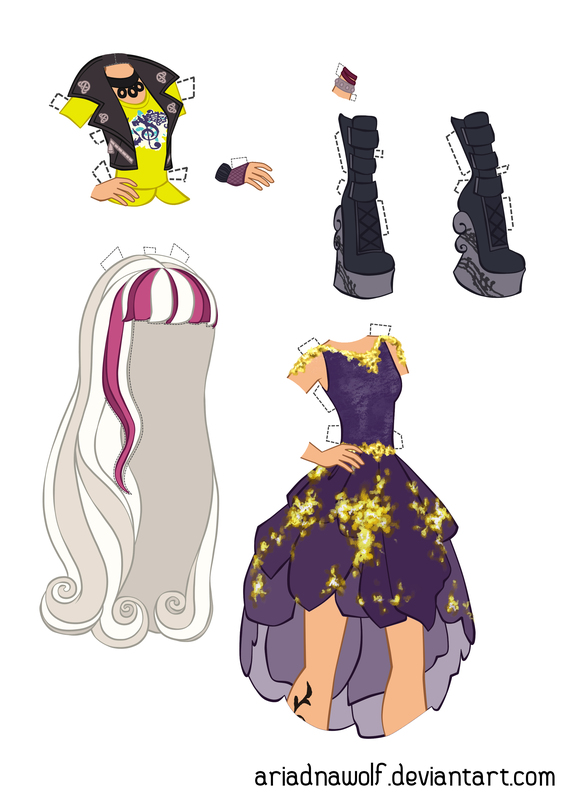 Do you like paper dolls and Ever After High characters? 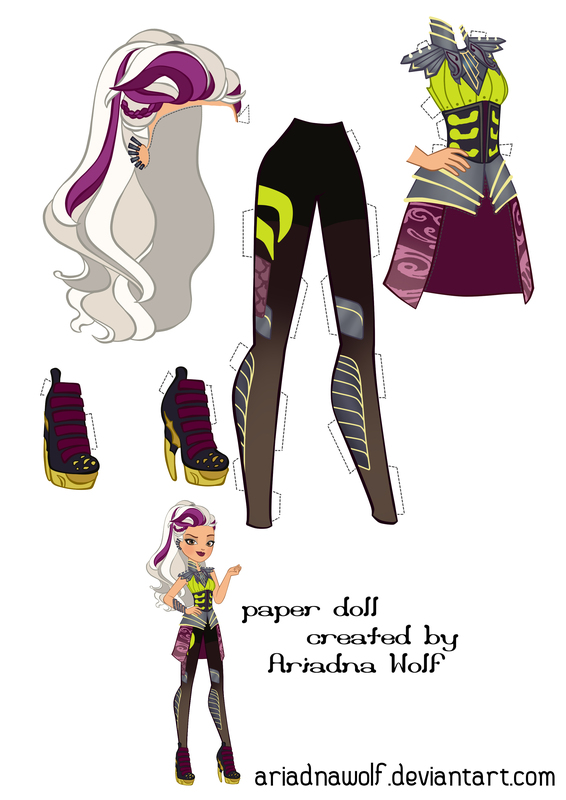 Ariadna Wolf from Deviantart draw incredible cute, realistic (to the Ever After High show) and beautiful paper dolls. Here you can download and print a Melody Piper paper doll. This doll has some outfits from the movie, shoes and hair styles, wich you can put on doll too! This is awesome! The doll can be downloaded in two versions: enlarged to full A4 size and slightly reduced.